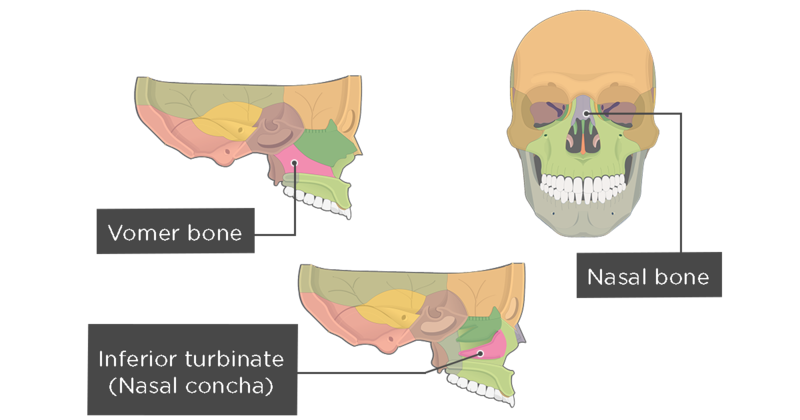 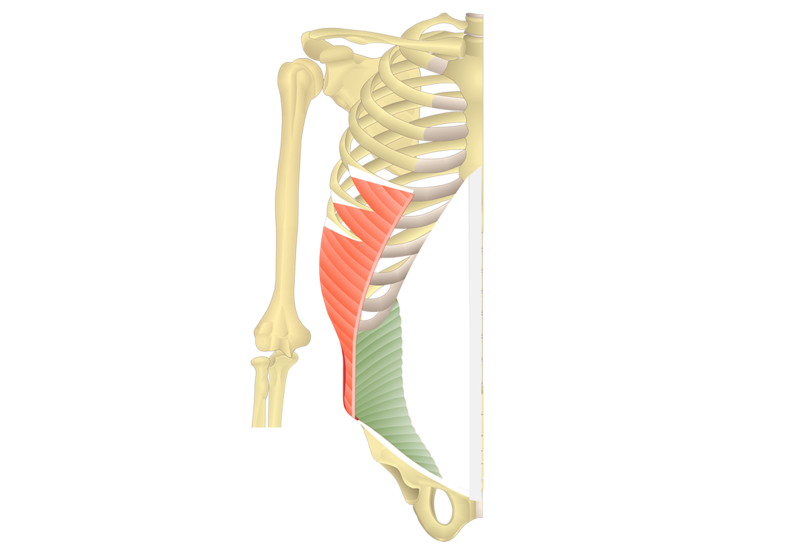 Origin: Medial half of the posterior iliac crest and iliolumbar ligament. 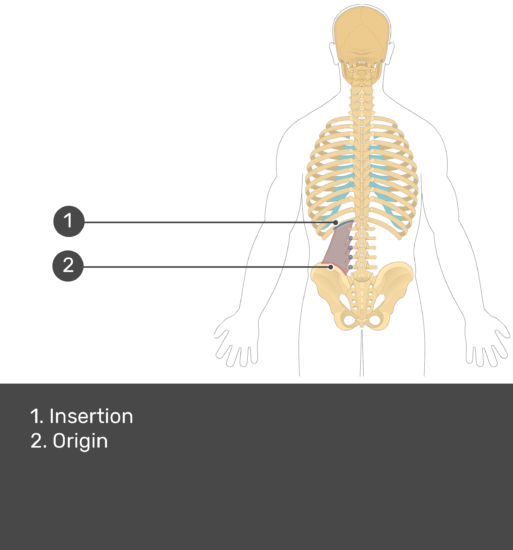 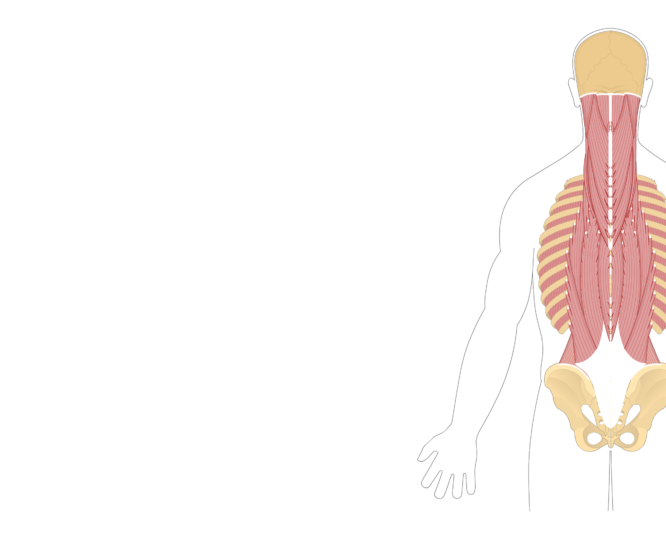 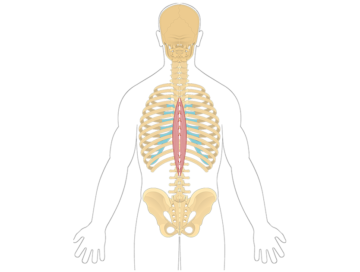 Insertion: Transverse processes of L1-L4 and medial half of 12th rib. 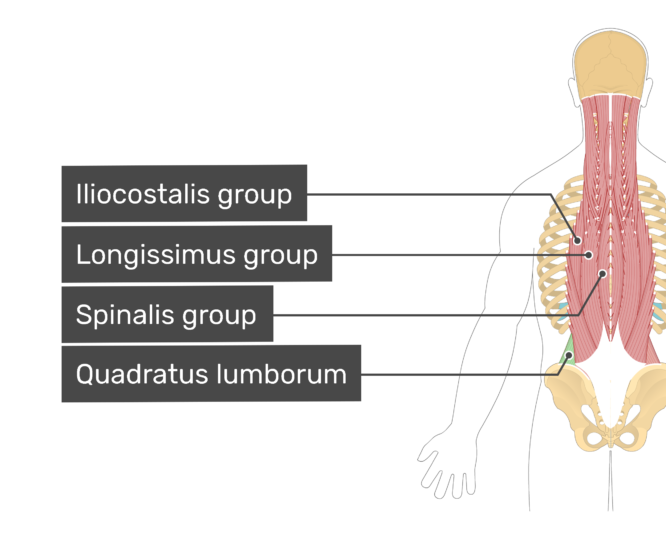 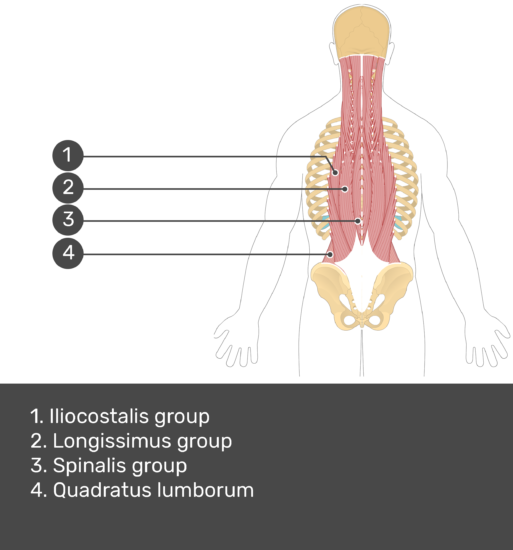 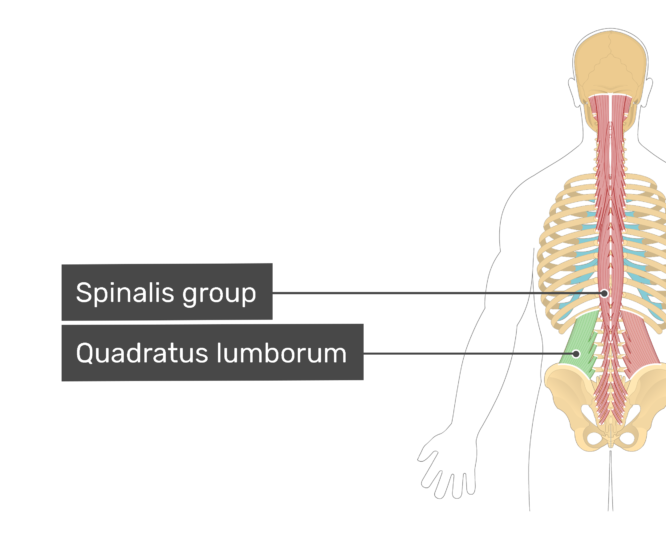 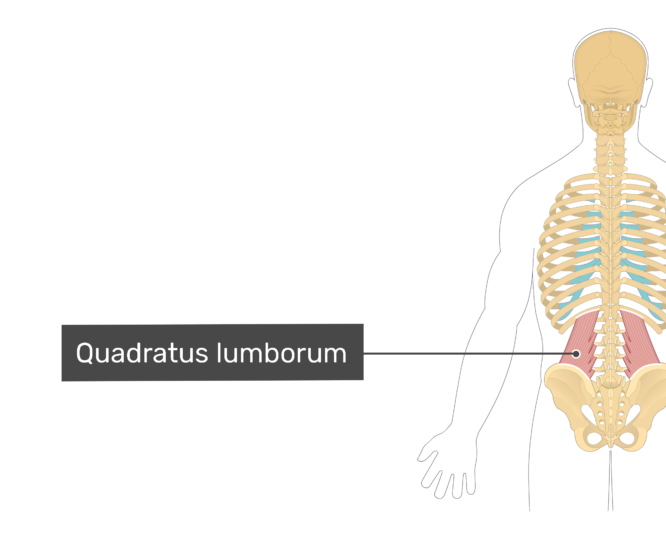 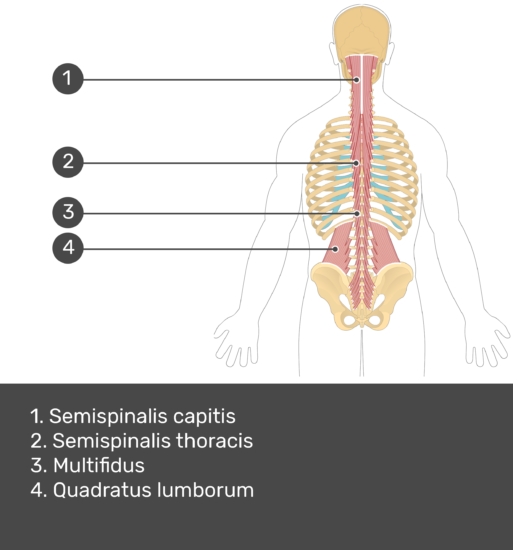 Origin and insertion of the quadratus lumborum. 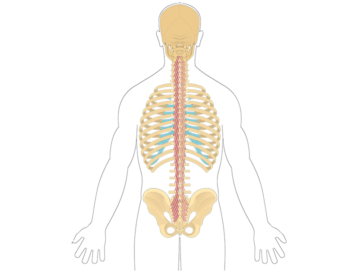 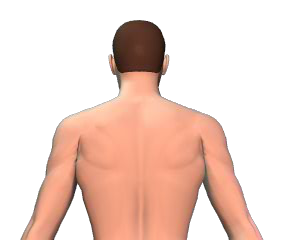 Bilateral action: extends vertebral column; stabilizes 12th rib while breathing. 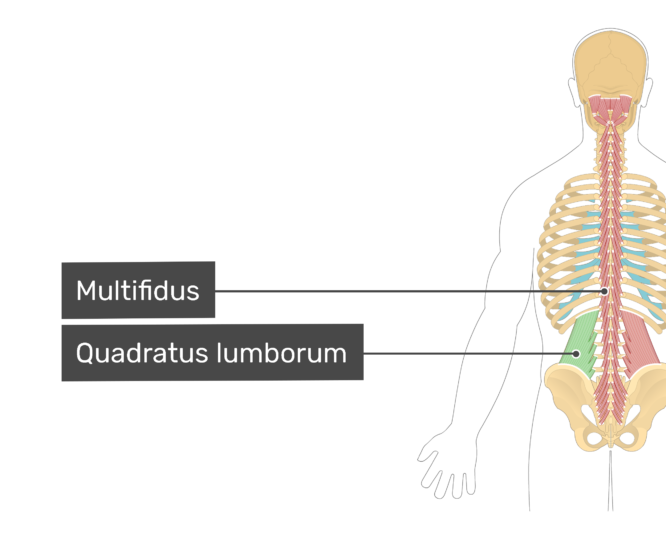 Extension of the vertebral column. 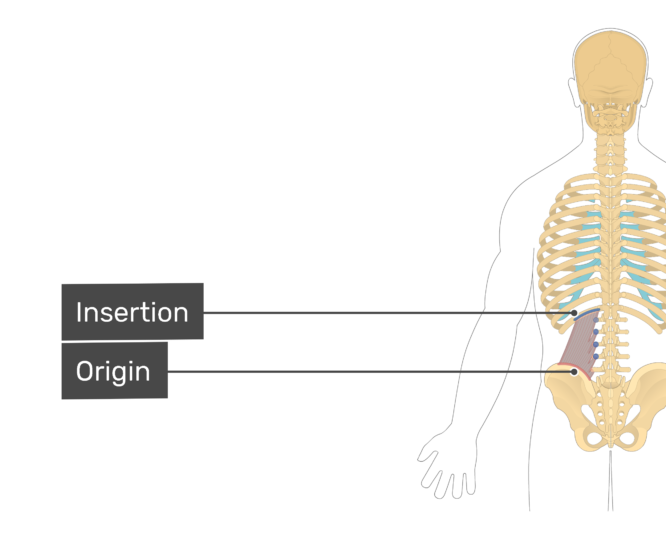 Ipsilateral action: laterally flexes vertebral column. 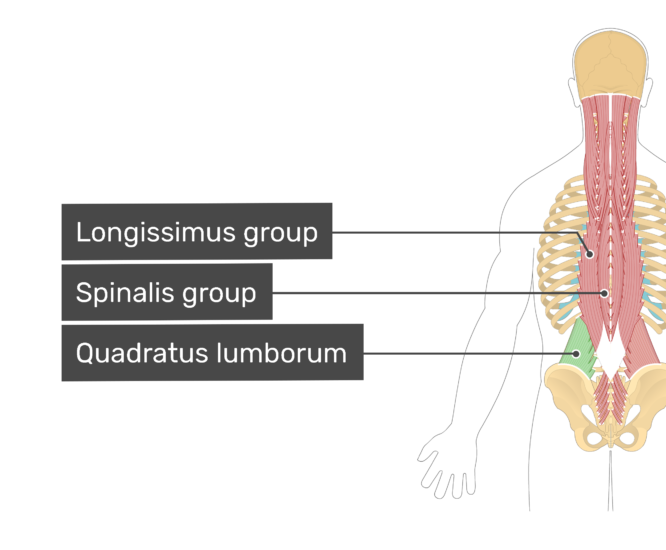 Subcostal nerve (thoracic; T12) and ventral rami of lumbar spinal nerves (L1-L4). 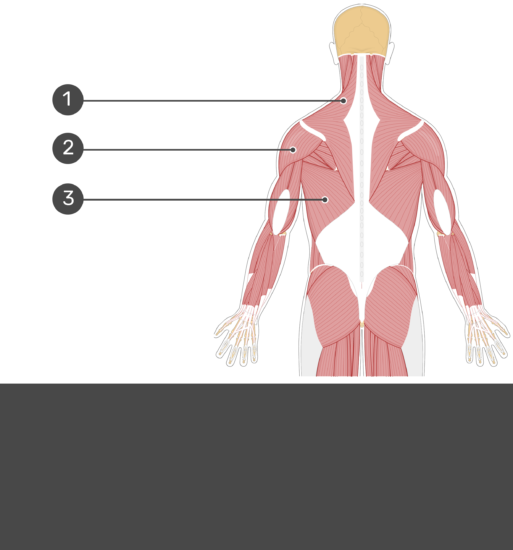 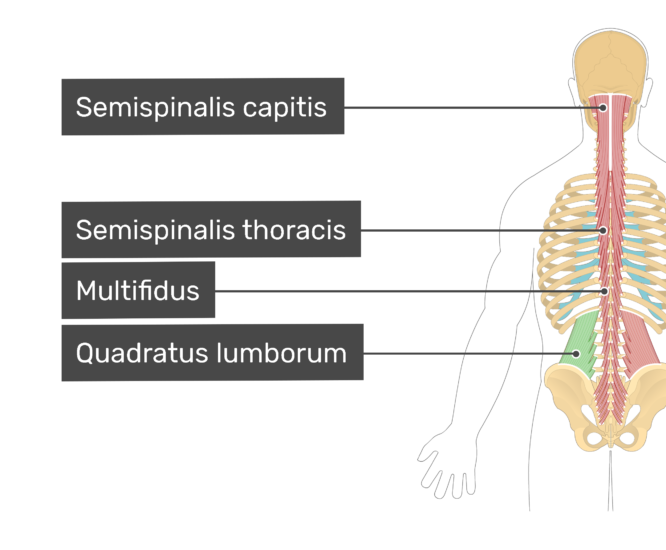 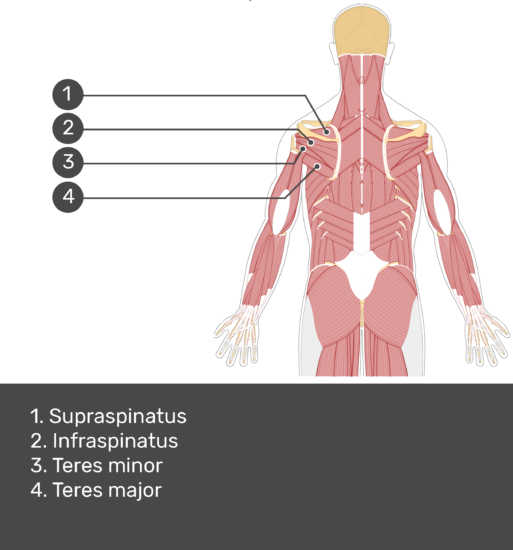 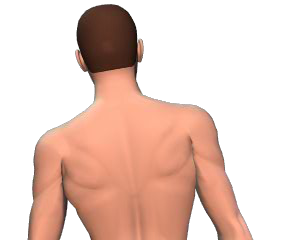 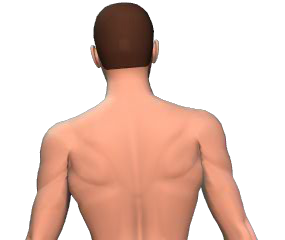 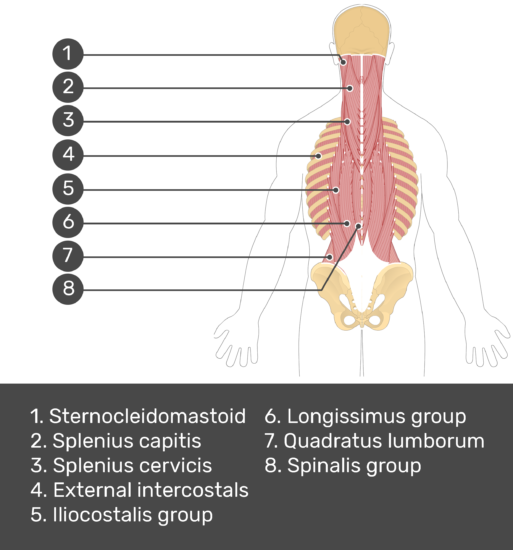 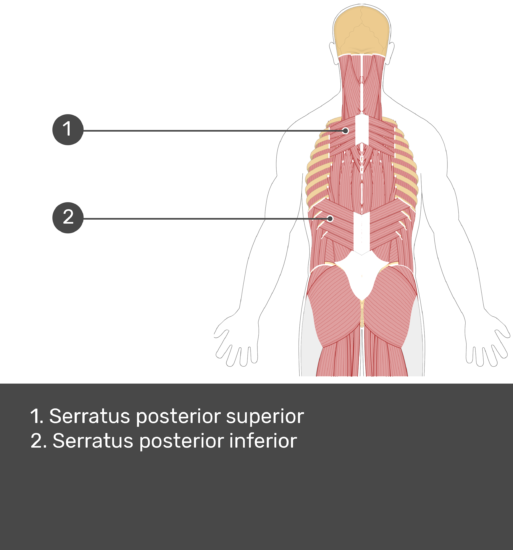 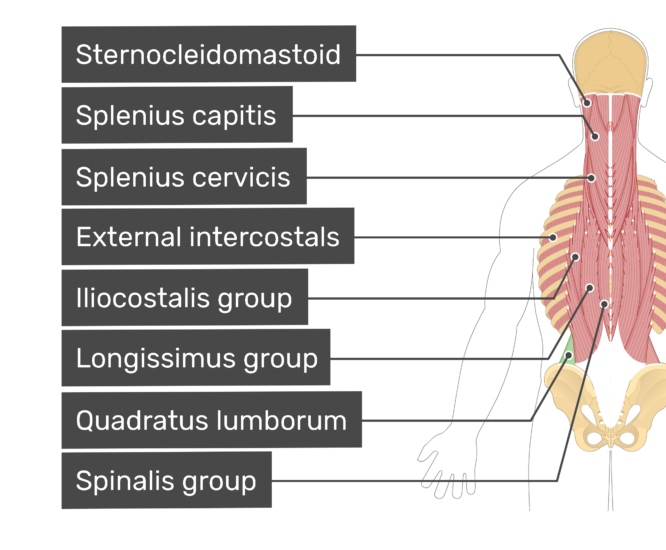 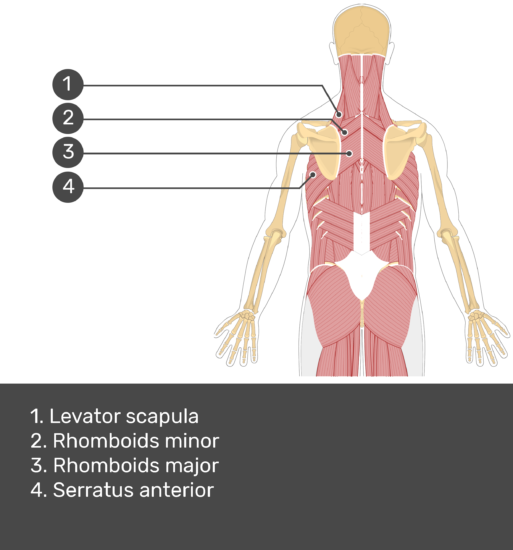 Review the attachments, actions, and nerve supply of the multifidus muscle and test your knowledge of the muscles of the back.